Snowman Face: Take one regular sized marshmallow and draw a face on it using the black Decorating Gel. Hat: Pull apart an Oreo. Remove the frosting or use the side without frosting. Put cookie icing on top of one cookie and place the chocolate truffle on top. Nose: Take an orange Starburst and cut tiny small triangle shaped slivers. Cut a small slit in the front of the marshmallow and push the nose into the marshmallow. Body: Cut 1/4 of the jumbo marshmallow off the bottom. Put a dab of the white cookie icing on the back of three confetti dots and attach to front of the body. 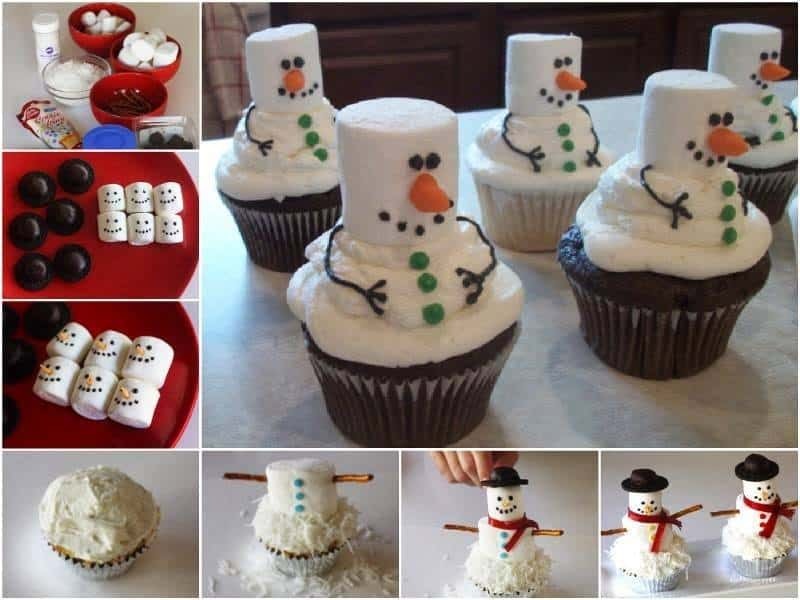 Stick pretzel sticks into the sides of the jumbo marshmallow for arms or use black icing to draw them. Assemble all together using icing to hold the parts in place. Finish by sprinkling shredded coconut and sugar around the base. The sugar will give a slight shimmer, making the snow look more real. Tip: Make sure marshmallows are level so the finished product doesn’t tip. 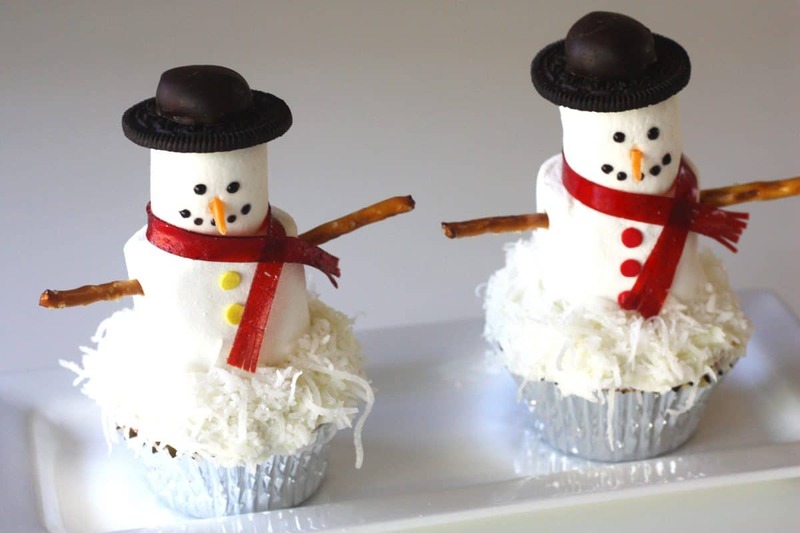 Not only are these DIY cupcake and marshmallow snowmen adorable, they are delicious to eat! Visit our DIY Projects for other great ideas! I love cold weather (for a while!) because I get do all these projects. 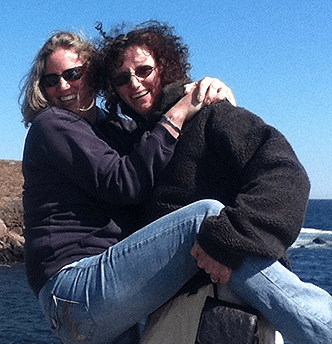 What is your favorite part of winter?